Tuning in with Nature is a residential programme designed for children to learn about Nature’s secrets as well as about their own behavior, strengths, and interests. Outdoor activities, discussions and sharing, games and theatre exercises make learning a lot of fun! 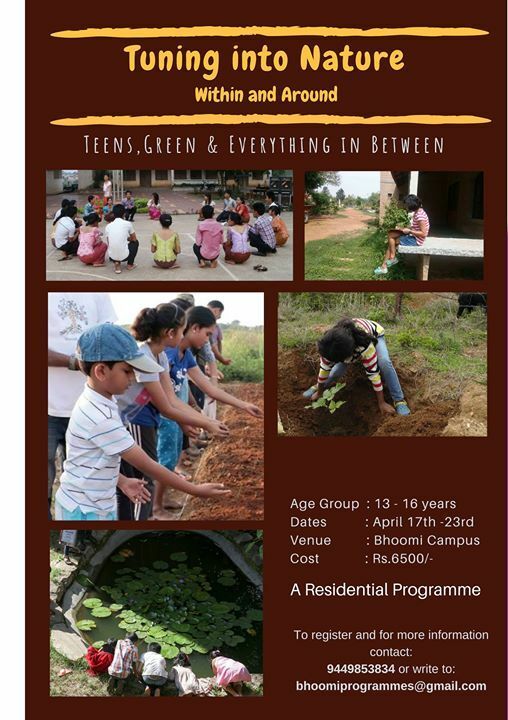 Children will also experience living in a community and the skill to adapt and relate to friends as well as strangers. 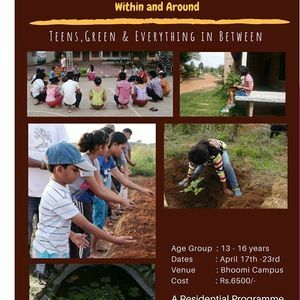 For more details on the programme and to register, please write to Ymhvb21pcHJvZ3JhbW1lcyB8IGdtYWlsICEgY29t or call at 9449853834.